I've only got time for a quick post today so I wanted to fill you in on the primer/foundation/powder method I've been loving so far! Last night we went out for my mom’s birthday dinner and I tested out a new way to wear my makeup and let me tell you… it was flawless and I did not get shiny AT ALL. 2 hours later I was still matte and looked like I had freshly applied my face makeup. I’ve been running with samples so none of the products I’m going to mention I have in full size (but I will purchase them ASAP) so almost all of the pictures I will be providing below are off of Sephora’s webpage. 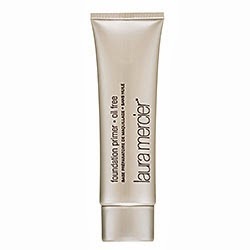 I didn't have extremely high hopes for the Laura Mercier oil-free primer because so many primers don’t work for me but it was incredible. It felt so light on the skin, it prepped the skin really nicely and worn with my foundation I did not get shiny even in my t zone a tiny bit! 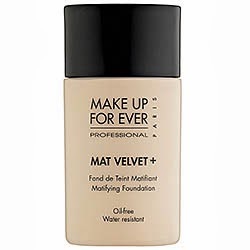 I wore this primer with the Makeup Forever Mat Velvet Foundation (I am in the shade 25 I think) which I applied with my beauty blender. I didn't even need concealer on any of my acne scars or spots, pretty incredible I know. It isn't a cakey looking matte foundation like some of them tend to be, it looks very natural while providing really good coverage. It’s definitely a buildable coverage as I applied another layer on the redder parts of my face but I barely needed any extra. 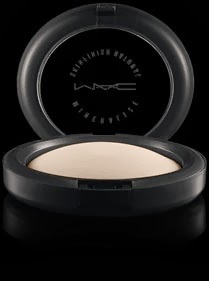 It’s a fabulous foundation that I can’t wait to go ahead and purchase. I definitely still powdered the t-zone using my Mac Mineralize Skin Finish Natural in Light which is probably my favourite setting powder at the moment. I didn't take any pictures last night which I should have so you would have been able to see the incredible look of it but sometime soon I will do a FOTD (Face of the day) post including the foundations and you’ll be able to see it! Everyone raves about laura mercier! I havent tried it myself though! I love this primer it's incredible and my mom loves the radiant one for more dry to normal skin! Makes me want to try more of her stuff. Definitely look into it!